We all love to go on the road side trips to give ourselves some relaxation and while going on our vehicles, we stop only at those gas stations to refill vehicle’s fuels that have proper lights installed over there making our journey safe. For providing maximum safety and security to the people, you can install LED canopy lights and among many lights, you can install 150w LED canopy lights. 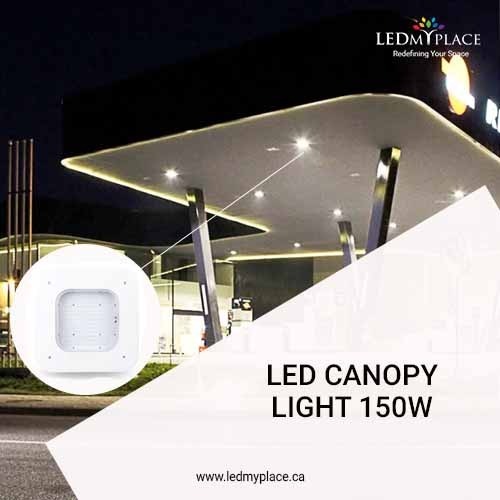 * The lumen output of these 150w LED canopy lights is 17242 lumens and it can be replaced with 400w of any MH or sodium-potassium light bulb to save 250 watts of energy. * The color temperature is 5700K that is most suitable to use as an outdoor lighting fixture. * The wider beam angle of more than 110 degree will make the entire place more bright full and visible. * The heat sink used inside these 150w LED canopy lights eliminate all the unwanted heat that might be generated during the normal operation of the light bulb. * With longer Life expectancy, these lights can work for more than 50,000 hours even if they are kept on for 24 hours as well. * The certification of UL and DLC will give the buyers a chance to get attractive rebates and incentives as well. * Also 5 Years warranty from the Manufacturer’s end will provide you with a completely risk-free use. 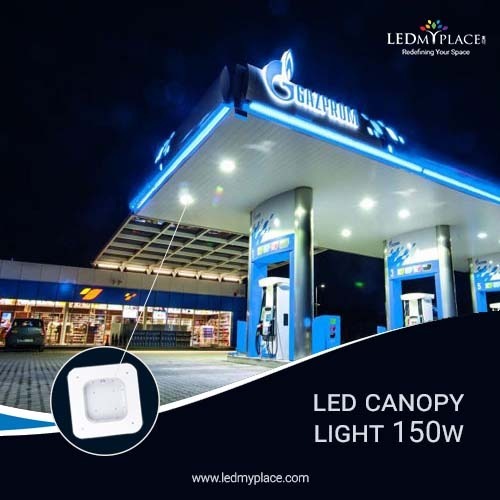 So let your customers enjoy better visibility by installing these 150w LED canopy lights at the gas stations that are also eco-friendly lights and will protect the surrounding from getting polluted in addition to giving you ample saving options.